In the Forum held in Gloria Serenity, Coral Travel Travel Agencies and Coral Travel Elite Service agencies were hosted. In the forum attended by agency owners and managers from 45 cities of Ukraine, meetings on Global Tourism were held with participation of the Coral Travel top management as well. 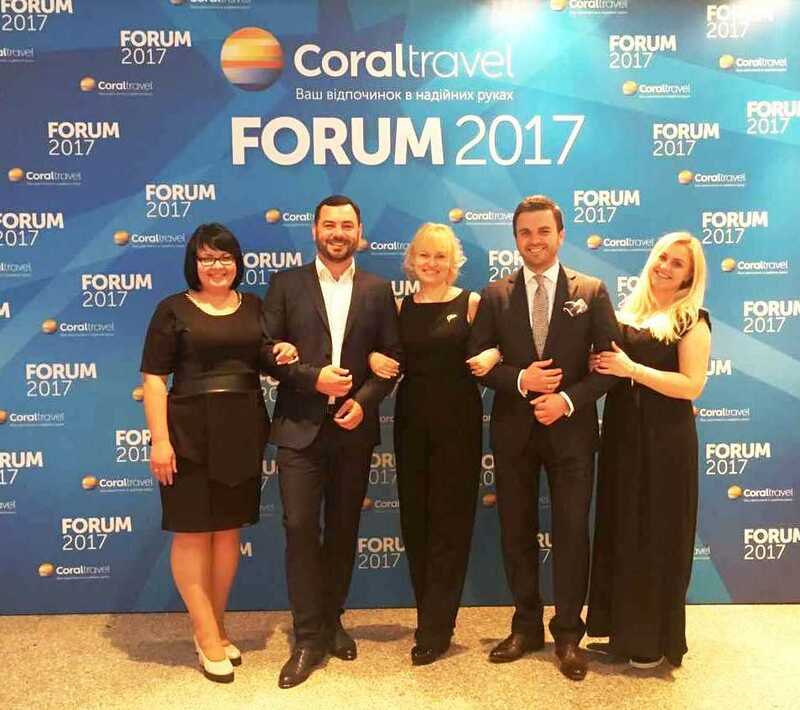 In the Forum program, which started with a barbecue party, agencies found a chance to meet and interview with the Sales, Marketing and Franchising departments of Coral Travel Ukraine. In addition to the trainings given by the famous Ukrainian business trainer Maksim Chabanenko, famous coach Ksenia Litvinova gave sports trainings, and TV broadcaster Grigoriy Reshetnik gave training on the “Secrets of public speaking”. In the Gala dinner on the last day of the Forum, lots were drawn, and Ukrainian pop stars Evelina Ivashchenko and TAYANA took to the stage.